There are three main types of yeast. Yeast is an essential ingredient in bakery products. Mostly all bakery products involve the usage of yeast. Apart from this, more explicit purposes of yeast could be listed as malting, farming, brewing, dietetics, and pharmaceuticals. These are the newest forms of yeast application, though, there are several investigations are on the path. 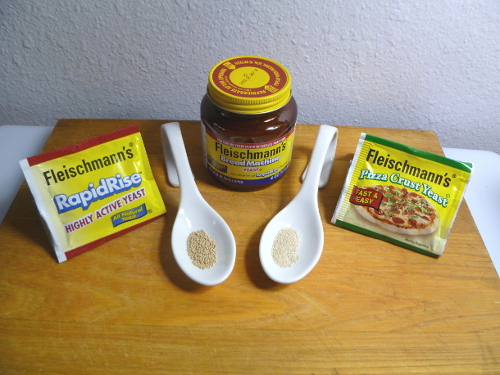 The three major types of yeast are listed below. The home and commercial bread baking process involve the usage of baker’s yeast. There are three subcategories of baker’s yeast viz. cake yeast, active dry yeast and instant yeast. Cake yeast is also referred to as fresh, wet or dense yeast. Instant yeast is also referred by one extra name of far-rising yeast. The initial form of baker’s yeast is called as ‘cream yeast’ since it comes in a fluid nature. These three subcategories of baker’s yeast are explained below. Cake yeast is considered as the next step of cream yeast. Among all other types of yeast, cake yeast is well-known for its wetness. Because of its fragile nature it is necessary to maintain its cold temperature requirement by keeping it under the refrigeration process all the time. Cake yeast could live a long life of almost eight weeks. In all other types of yeast, active dry yeast stands in third step. Active dry yeast is considered as the next step to the cake yeast. The ingredients used for making active dry yeast require low level of moisture, so active dry yeast can be fresh even it is kept outside the refrigerator. This type has got the longest life of almost two years. Instant yeast is considered as the next step to the active dry yeast. Instant yeast are dry in nature, so there is no requirement of keeping it into the refrigerator all the time. It has an expiry date of almost two years which is same as that of the active dry yeast. The brewer’s yeast is considered as the derivative of the baking industry. This yeast is involved into the making of beer. Once brewer’s yeast has loosened its feasibility and commotion, it becomes an unsuitable product for beer making. Thereafter, brewer’s yeast is considered for feed formulations, food flavors or as food for nutritional yeast. Fermentation process is not possible with brewer’s yeast because of its dry and inactive nature. Nutritional yeast ranks third among all other types of yeast. This type of yeast is well known for its ingredients such as proteins and vitamins. In other words nutritional yeast can be considered as the nutrients rich, vitamin rich and protein rich product. In order to produce nutritional yeast, it is necessary to follow fermentation process. A fermentation process is carried out on cream yeast. After this, all necessary nutrients and vitamins get added to the fermented cream yeast for meeting the basic criteria of nutritional yeast. This type of yeast is considered as more healthy and dietary as compared to the other types of yeast.